“I love your questions and answer episodes. I am confused about one thing, though. I have heard Corey on other programs state that the Chinese will be, for lack of a better word, in charge of a new currency for 100 years. Corey: There are various groups that have different agendas and plans, and they're prosecuting those plans, you know, the way they would as if they were going to win. If these energetic things occur, or some of these other things occur that I've been told recently about non-terrestrials making themselves known to people in small groups, then I don't see their agenda being able to come to fruition. David: So the Chinese, the basis of their idea of wanting a 100-year financial system comes from what? Corey: It comes from the negotiations that have occurred between the Alliance and the Cabal. They said the West had its 100 years. They want their 100 years to run the financial system. David: So you're equating the Chinese with the Alliance in some way? Corey: Yes. Well, the Chinese are a large part of the Alliance, and they're the ones that have been predetermined to take over that financial system, or lead it. David: So let's just be clear on what is the Chinese plan? Are they wanting to do exactly what the Federal Reserve did? Are they wanting to enslave us? Corey: It would be a different type of Babylonian slave system, money magic system, of course, as long as there is a financial system, but it's suppose to be a fairer system that is fairer globally, and is based on gross domestic product and other things, other than how much wealth one country has accumulated and using that wealth against other countries. David: Do the Chinese feel that they have been unfairly pigeonholed into a more poor level? And is that part of what they want to do, is to even the playing field? Corey: That's the entire reason that the Alliance formed. It was to fight against this Western Cabal that had basically taken over the financial system and most of the infrastructure of this planet. David: So do you think that the Chinese would preferentially boost the economies of countries like Southeast Asia, Africa, places that have been disadvantaged? Corey: Not only that, but they're heavily investing in these areas, like South America, parts of Africa. They're buying up land and property as fast as they can. David: Obviously, the Chinese should be vetted out on the idea that there's going to be a solar flash, but do you feel that if they do know about it, do you think they just don't see the significance of it? They're just going to plan around it not happening? 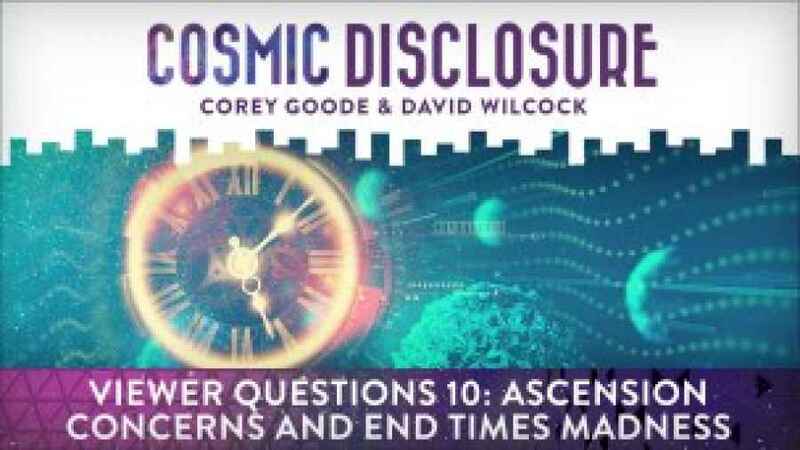 Corey: Everyone knows about it, but as I've stated before, depending on the group, they have different ideas about what is going to occur when the solar flash happens. Many think that it's just going to cause a lot of technological communication disruptions. Some think that it's going to destroy anything that works on an integrated processor. Corey: And others think that it's going to be some sort of an Ascension event, or a mass death event, a kill shot event.